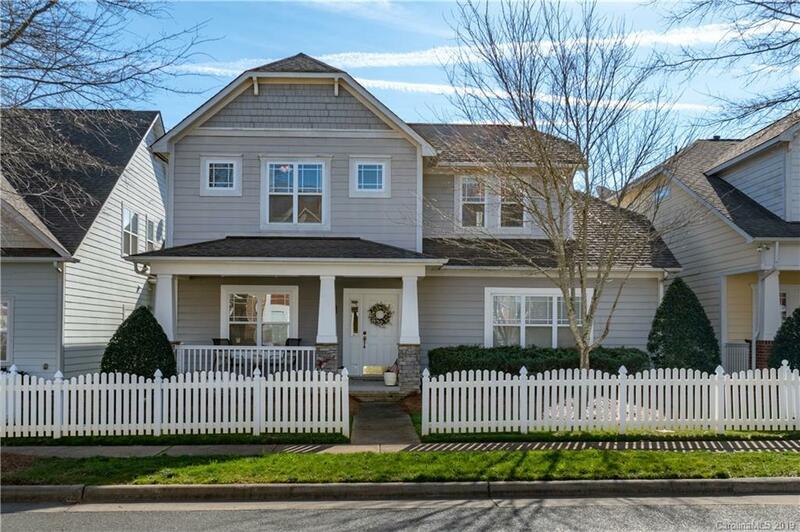 Stunning 3 bed 2.5 bath home in desired Bonterra, complete w/ a white picket fence! Enjoy your morning coffee out on the front porch or relax inside the large living room w/gas fireplace & soothing color palette. There is plenty of storage w/ a large walk in pantry & built in computer niche. The perfect kitchen features stainless appliances, 42" cabinets, ample counter space w/raised bar seating & dining area w/chair molding w/ access to beautiful back patio! Upper level features a huge master suite w/trey ceiling, & ceiling fan. Luxurious master bath has walk in closet, dual vanities, soaking tub & walk in shower. Two additional bedrooms w/large closets & another full bath provides room for everything! The over sized garage features built in shelves & overhead storage! Maintenance free living with GREAT neighborhood amenities including pool, club house, playground, tennis courts, fitness center, equestrian facilities & walking trails. And now easy access to the New Monroe Bypass!